Who appeared at the end of Supernatural Fan Fiction? Later, it’s revealed by Castiel that Chuck is actually a Prophet of the Lord and that the books he is writing will eventually come to be known as the Winchester Gospels. Which is still pretty impressive. In “The Monster at the End of this Book,” Sam and Dean realize that Chuck has future information that may help them. Thus, in “Lucifer Rising” (S04E22), Dean and Castiel go to Chuck’s house to find out where Sam has gone. When the angels come for Dean, Cas stays behind with Chuck to give Dean time to find Sam. 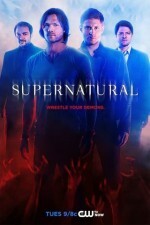 Though Chuck didn’t see Dean with Sam in his vision, Dean was still able to get to Sam, indicating that the boys can change what’s been prophesied. The next time we see Chuck is in the dystopian episode “The End” (S05E04). “The End” portrays a future scenario when the Croatoan virus, which we first saw in the episode “Croatoan” (S02E09), has taken over the Earth, and Heaven is losing the battle of the Apocalypse to Lucifer. This future version of the prophet Chuck is in charge of supplies. Chuck, and the metafiction genre that he’s often been a part of, became increasingly popular with Supernatural fans. 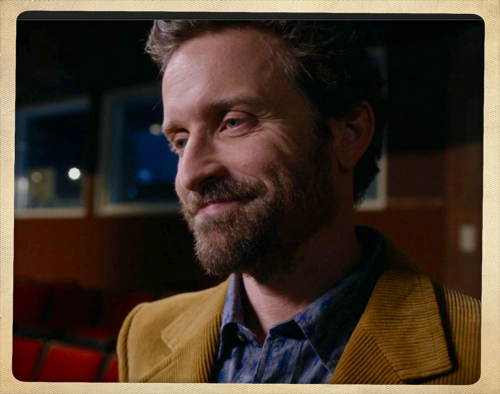 This was in part due to the funny storylines involved in Chuck stories, but also because actor Rob Benedict plays the role of Chuck so well. 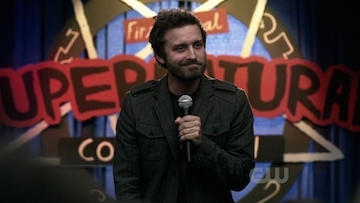 In one of the funniest Supernatural episodes so far, “The Real Ghostbusters,” superfan Becky has organized a Supernatural convention with Chuck being the main speaker. In this episode, Sam and Dean get to take a look at themselves in a unique way. The Winchesters aren’t happy with Chuck for making their experiences further popularized. Chuck tells Sam and Dean that he has a publishing deal to put out more of the Supernatural book series. Though Chuck didn’t publish the rest of the books, in Season 8, “Pac-Man Fever” (S08E20), it’s revealed that Becky has released the unpublished Supernatural books on the internet. Charlie Bradbury, played by Felicia Day, has read the books online and refers to them as she analyzes the interactions between Sam and Dean. Then he smiles at the camera and disappears. Chuck is a representation of Erik Kripke himself – the creator of the Supernatural universe. Chuck’s pseudonym, Carver Edlund, is a mash-up of writers Jeremy Carver and Ben Edlund. The implication is that just as they create the world of Supernatural, Chuck is similarly in the metaphorical role of creator. At the end of the Season 5 finale,”Swan Song,” Chuck vanishes. 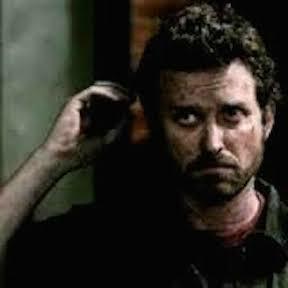 Since this was the last episode of Supernatural Kripke was involved with, Chuck’s disappearance seems fitting. Is Chuck the Prophet merely the creator/author of the Winchester Gospels or is he something more? The manner in which Chuck departs in the Season 5 finale has led some fans to speculate that Chuck is God. Chuck has a connection to Mistress Magda, a woman he calls on a chat line, which appears to be a reference to Mary Magdalene. Jesus healed Mary Magdalene of demons, and later she was a witness to his crucifixion and resurrection. But more than anything, it’s the way that Chuck, wearing white, disappeared at the end of “Swan Song” that raises suspicions that he’s God and had been helping the Winchesters to avert the Apocalypse for some time. It’s a fun theory that we don’t know is true, but it was fantastic to see him in “Fan Fiction.” If this glimpse of Chuck in “Fan Fiction” is all we get, it will only increase the belief of Chuck being God. How great is a show where fans can debate whether one of the characters is actually God or not? What do you think? Are you a Chuck fan? Do you believe that Chuck is God? Share your thoughts in the comments. 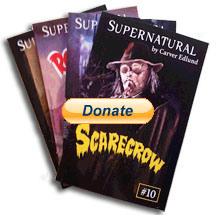 Get a custom-designed collectible Carver Edlund notebook with a donation of $25! These blank lined notebooks are in the style of the fictional novels by the also fictional author Carver Edlund from Supernatural. Notebooks are 5.5″x8.5″ digest-size, perfect-bound paperbacks. 214 pages. Use this link to get the premium gift offer. Collect all four! I think Chuck is God. He was letting the Winchester exert free will to change what the angels saw as destiny. He was helping them, but it was their own actions and choices that averted the apocalypse. Me too. Here’s to hoping that lots of old favorites come back.